Fido has launched a promo to offer customers 1GB of free data, as it nears its 20th birthday. 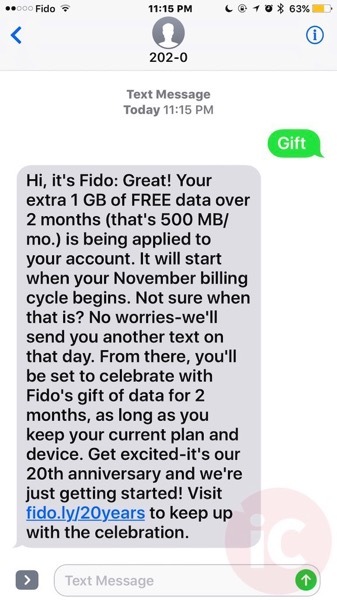 The company says it will give away “millions of free data” to Fido customers nationwide, plus other gifts over the next few months. Text GIFT to 2020; You’ll receive a confirmation noting you’ll get 500MB on your November bill cycle and 500MB on your December bill cycle. The free 1GB data offer starts today and goes until October 24th, 2016. Fido launched in Canada back in April, 1997, as the first carrier to debut a GSM network, while also being first to launch a pre-paid service the following year. In 2004, Rogers acquired Fido. Let us know if you’re going to jump on this! Free data? We’ll take it! 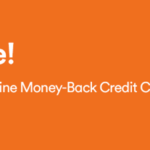 Tangerine Interac Flash to Support Apple Pay in November?